Electional Astrology: When the Sun is in…. The following short interpretations of the Sun in the signs refer to the Sun’s sign position at any given time and their possible effects on the population in general. They are best used for electional astrology purposes. Important Note: The following interpretations are not natal chart interpretations. To find out about the Sun in the signs in your birth chart, see the Sun in the Signs. When the Sun is in Aries: In Aries, the Sun is enthusiastic and spontaneous. We are motivated by the desire to conquer. We are more impulsive, and have the urge to initiate. Aries is a sign that bounces back quickly–there is little shame with Aries. It is brave and pioneering, and somewhat innocent. We are direct and rather uncomplicated in our needs, but we can also be short-sighted and lack the desire to plan ahead. When the Sun is in Taurus: In Taurus, the Sun is methodical, sensual, and receptive. The Sun in Taurus is most active when it is defending or resisting things! As the Sun moves through Taurus when plants take root, our determination and security needs are strong. Taurus is loyal to all that is familiar, and values longevity. The shadow side of Taurus is possessiveness and bullheadedness. When the Sun is in Gemini: Knowledge and diversity motivate us with the Sun in Gemini. We are more sociable, intellectual, and insatiably curious under this influence. We tend to scatter our energies as a result of this curiosity and awareness of all of our options. We are more communicative and versatile, but we can also be unreliable. When the Sun is in Cancer: We are self-protective and insular under this influence. Our attention turns to our nest–our families, homes, and anything that makes us feel “at home”, safe, and secure. Nurturing and taking care of our loved ones and our pet projects comes into focus. Emotions run deep. We are more susceptible to the ups and downs of the Moon while the Sun is in Cancer. When the Sun is in Leo: In Leo, the Sun is proud, outgoing, and playful. The Leo Sun is intensely individual—not content with simply being just one of the team. It’s time to shine, add a touch of color and drama to our lives, and perform. Like the flowers and fruit of the season–blossoming and ripened–this is a time when we want to enjoy ourselves and express ourselves. We are more generous and grand in our gestures and attitudes. On the shadow side, we can also be self-centered and vain. When the Sun is in Virgo: Our focus shifts to the pieces of the puzzle–the little details of our lives. It is now time to take care of practical concerns. Tending to the details of everyday life may not sound like loads of fun, but it can certainly free us from unnecessary stress that results from “collecting” odds and ends of unfinished business. This is an ideal time to get organized, to do detail work, and to improve communications on the job. When the Sun is in Libra: Libra rules relationships with others as mirrors of ourselves. Meeting others halfway, compromise, and negotiation come under the rule of Libra. The focus is now on balance–finding balance and harmony through relationships with others and through art. Libra is the sign of the peacemaker. However, life is not always peaceful with Libra in its attempt to restore balance. Decision-making can be more challenging while the Sun is in Libra. Libra weighs both sides of any situation, and sometimes this process seems endless! In Libra, the Sun is concerned about not rocking the boat and not rubbing others the wrong way. Tactfulness, style, tolerance, and sociability are some of the keywords for Libra. On the shadow side, Libra can be self-serving, indecisive, passive-aggressive, and superficial. When the Sun is in Scorpio: The guiding principle of Scorpio is “I desire”. Scorpio is the sign of depth, intimacy, and extremes of feeling. Superficiality simply will not do with the Sun in Scorpio. We have the desire to get to the bottom of matters. Mediocrity does not satisfy either. All that is hidden, taboo, secret, or suppressed interests us. In Libra, we strived towards equality and fairness. Scorpio, however, instinctively believes that life simply isn’t fair. Scorpio’s energy is provocative, usually in a quiet way, as well as passionate, strong-willed, and intense. It can be an immensely healing and transformative energy. Jealousy, vindictiveness, beating a dead horse, and manipulative are some of the more negative expressions of Scorpio. When the Sun is in Sagittarius: With the Sun in Sagittarius, our focus shifts from the need for an intimate connection with a person and with ourselves, to the desire to reach out to the world and connect with something larger than ourselves. While the Sun moves through this fiery, mutable sign, we can take steps to increase our understanding and awareness of the world around us. We are more able to muster up the courage to expand our horizons and branch out into new ways of thinking. We can gain more confidence and optimism by focusing on the “big picture” as we move away from our focus on the details of mundane existence. Although we may be prone to overdoing our expectations, we have the opportunity to nurture our faith, hope, and vision under this influence. When the Sun is in Capricorn: We are motivated by feelings of responsibility, ambition, and respect for law and order. Capricorn derives much satisfaction in completion and accomplishment. 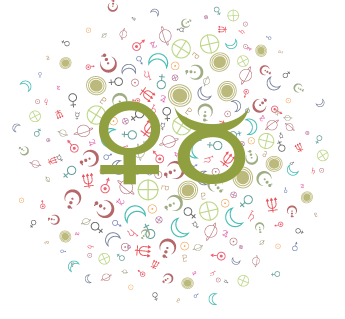 Standards, structures, and an appreciation for order are Capricorn themes. Capricorn wants tangible results, knows what is feasible and what is not, and is most comfortable working within an established framework and known boundaries or limits. Working towards a long-term goal is most satisfying with this influence. When the Sun is in Aquarius: During this cycle, we are motivated by our hunger for knowledge, experience, and originality. Innovation is more important to us than convention. We become more aware of what is outdated in our lives, and strive to find new perspectives and new ways to do things. The class distinctions, structure, and order that Capricorn finds appealing now seem to be too rigid. The freedom of the individual becomes far more significant to us. We strive to free ourselves from some of the restrictions, inhibitions, and limitations that now feel constraining rather than safe. When the Sun is in Pisces: With the Sun in Pisces, we are guided by altruistic feelings. We are less motivated to do than we are to feel, imagine, and dream. A “what will be, will be” attitude reigns, and we are guided by a sense of universal correlations. Pisces rules empathy, selfless love, devotion, and wisdom. Its shadow side rules self-pity, a feeling of being victimized by life, passivity, and elusiveness.